How do you beef up (pun intended) a weak digital presence for a strong brand? Star Ranch Angus beef is a well-loved brand of Tyson Fresh Meats, Inc., but was greeted with a lukewarm reception when it entered the digital space in March 2014. What made the challenge even more difficult was its availability in only certain areas of the country because it is not a national brand. We were tasked with increasing engagement on the Star Ranch Angus beef Facebook page, which had formerly been handled by the Tyson Fresh Meats Team. Our first tactic was to rethink the brand’s approach to social strategy. Instead of “doing” social media, we positioned the brand to “become” social by developing fun content to engage the community. giveaway campaign generated a dedicated following, with an average of 400 interactions per day, and an all-time high of nearly 1,000 interactions received in a single day. We also used Facebook ads and boosted posts to maximize our following. By using geographic and interest-based targeting parameters, we acquired fans that would be most receptive to our content – and in the area where product was sold. This activity created a firm foundation the brand could build upon. To continue the momentum, we let data lead creative. Brand research helped us fine-tune messaging to better resonate with our target audience, while monthly reporting helped to measure effectiveness. In doing so, we were able to assess performance, make improvements and optimize for results. 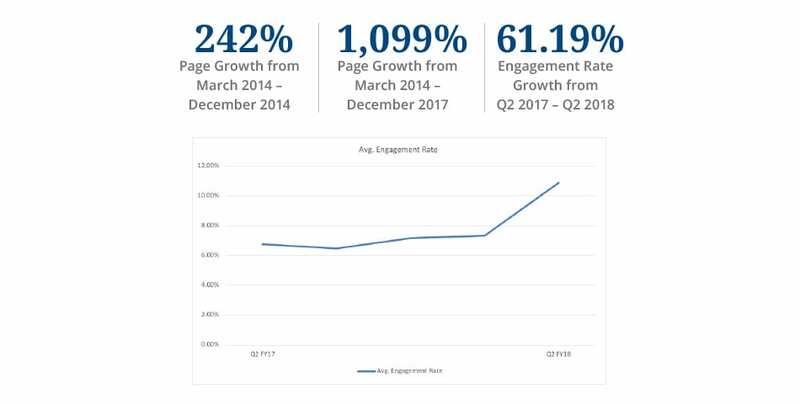 With clearly defined goals supported by key performance indicators, we have seen the brand’s Facebook page mature from one that can gain followers to one that keeps them engaged. Instead of “doing” social media, we positioned the brand to “become” social.